This was another one of my favorite stops on our photography tour of southern Iceland. This is Mount Vesturhorn which is not only a fascinating mountain range in and of itself, but it is surrounded by a black sand beach covered with hills on which grow straw plants. In any other country this might seem like a strange occurrence but Iceland possesses so many unique landscapes that encountering a place like this is par for the course. Mount Vesturhorn, Iceland. 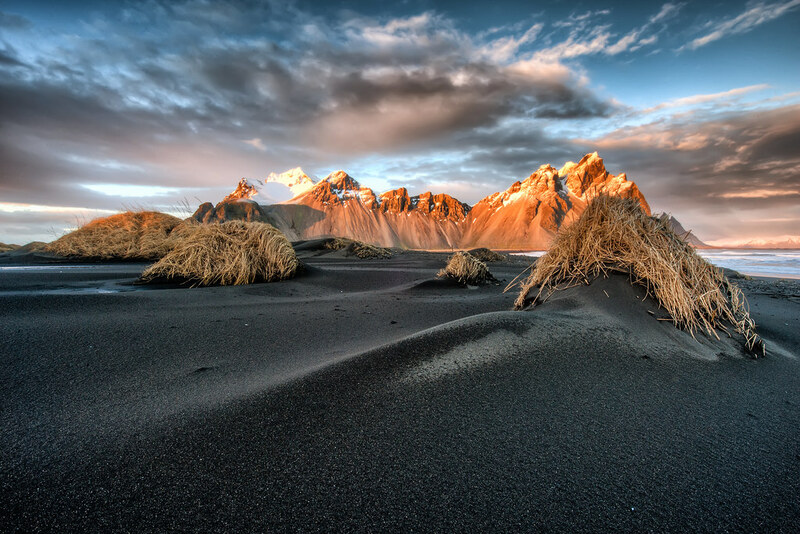 This black sand beach with hills covered in straw makes for a great foreground to the massive mountain range.